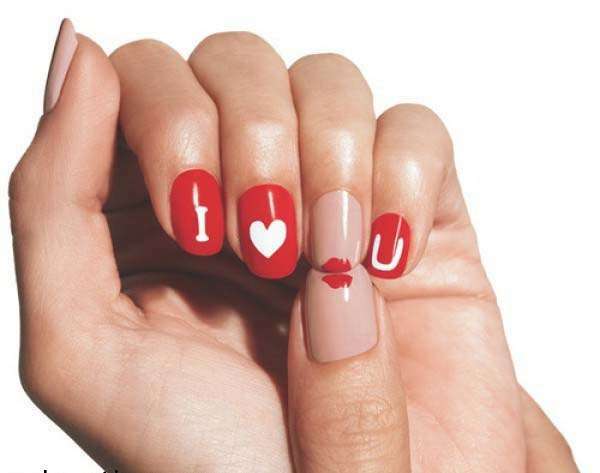 Are you guys searching for some beautiful Nail Art designs for Valentine’s Day? If yes!!! then you will find all here in this post. As we all know that new fashion is introduced day by day in dresses, hairstyles, shoes, sandals, high heels and even nail art designs. 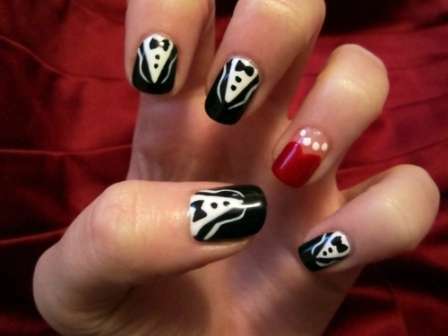 Nail Art is getting big day by day and is most wanted by all women and mostly in the young girls. 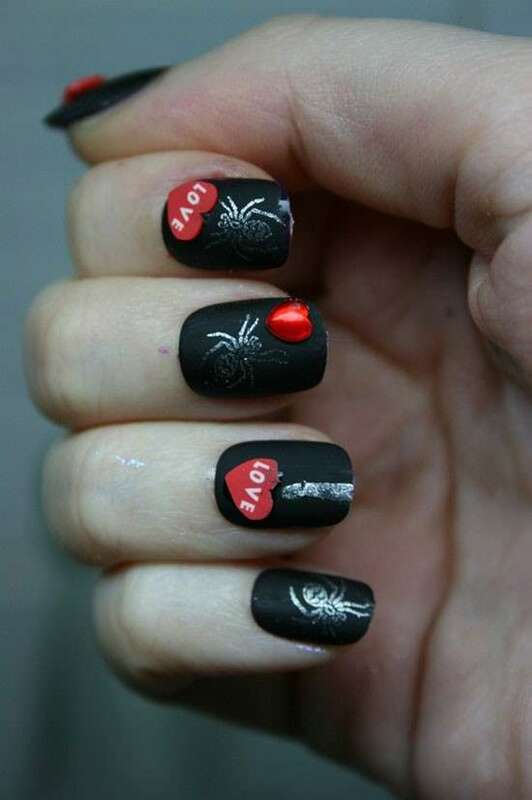 There are many ready made nail art designs that are available in the market according to the different occasions and for the casual wear as well. 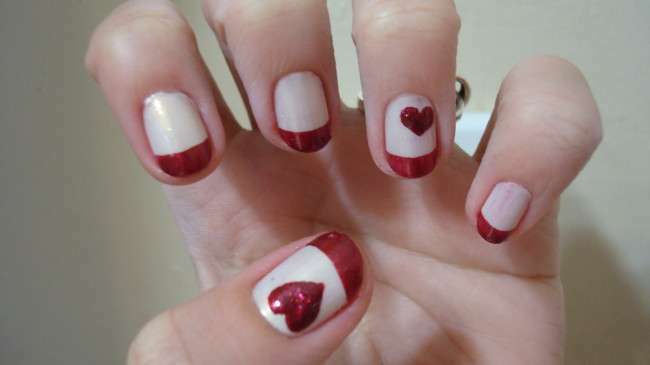 As we know every girl and women is looking for the latest and new nail art for the Valentine’s Day. We all know that Valentine’s Day is all about love and affection. 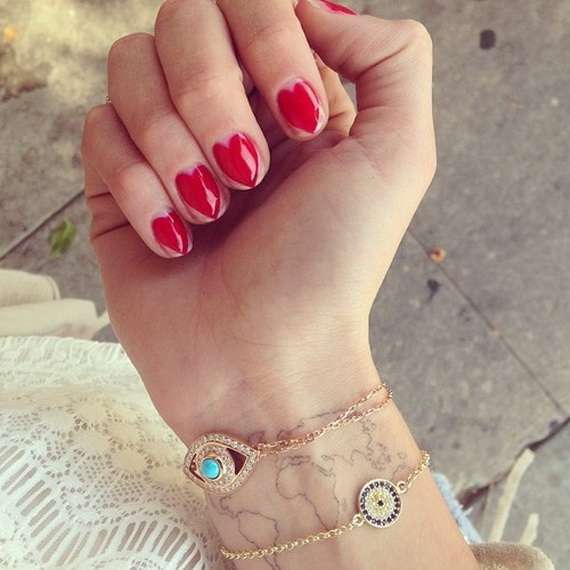 So, keeping this fact in mind all the latest nail art collection is usually in red color which is the color of the day. 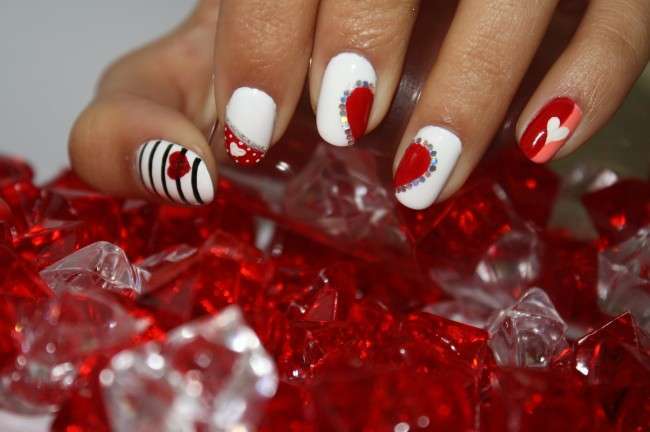 On this occasion girls and women set their nails’ base coat in white color and fill it with mainly red color. They try different designs. 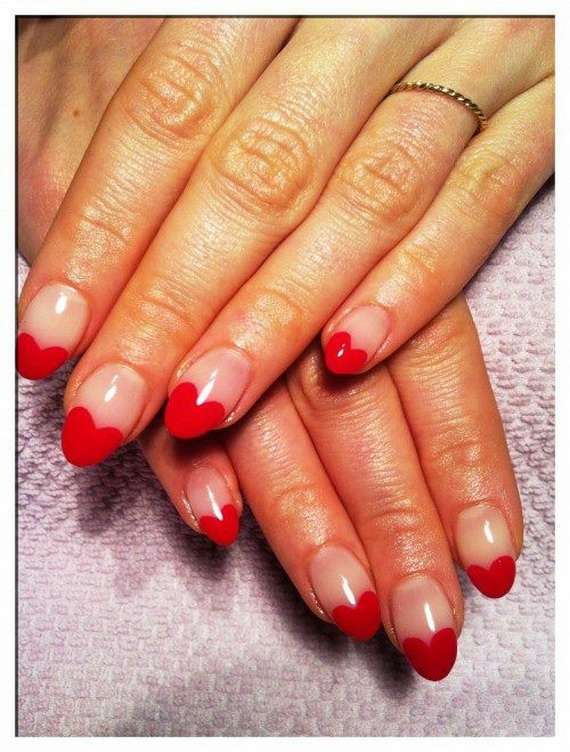 If the women think their nails are enough long for the designs then they have a choice to use fake or unreal nails as well. 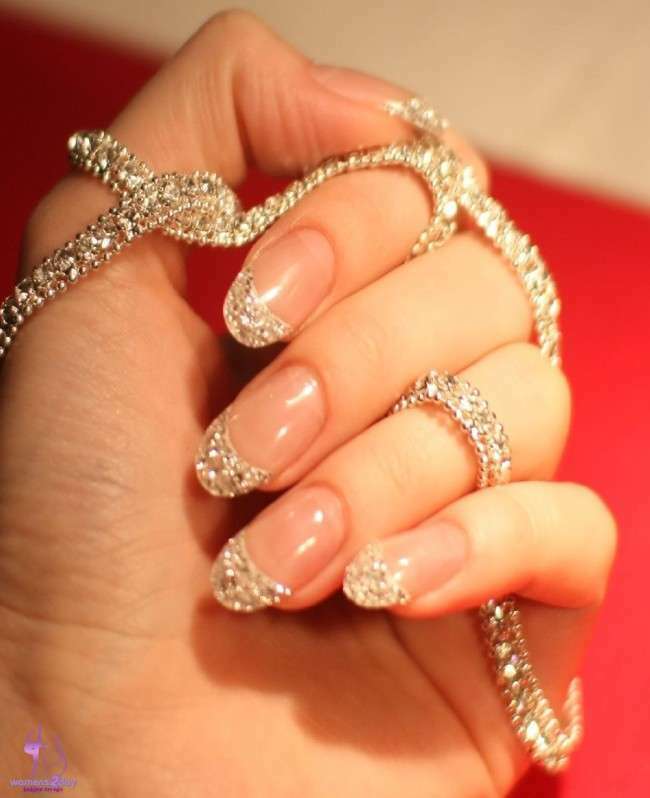 There are many fake nails available in the market that are different, easy, simple and modern. 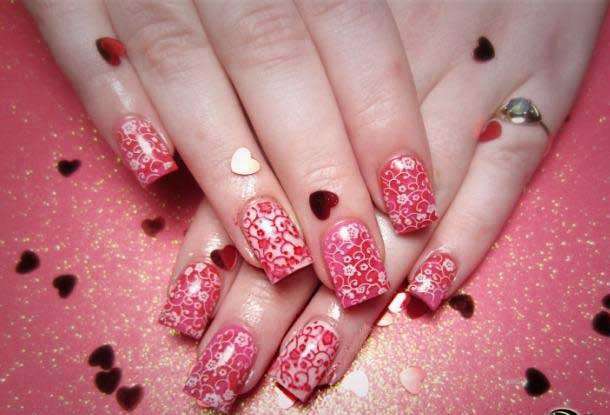 Now if you attending the Valentine’s Day so, don’t forget the decor of your nails with latest nail art. 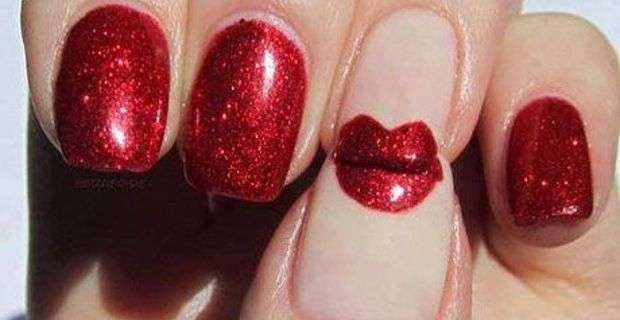 These give a gorgeous, pretty and awesome look and we are sure that you will love your nail art design and make your Valentine’s Day a memorable one forever. 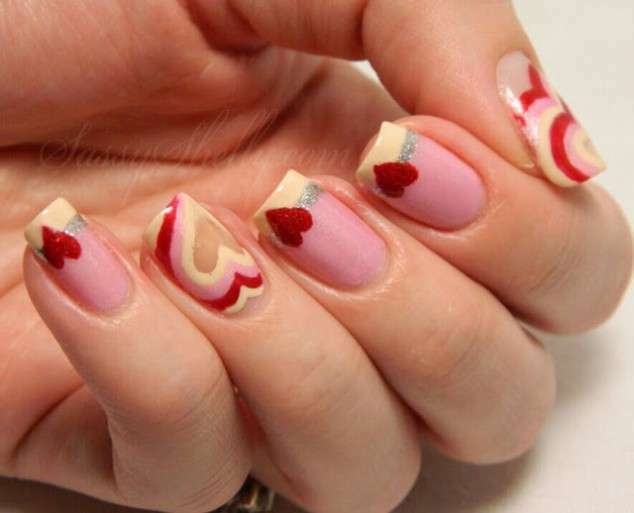 Now we show you some latest and loving nail art designs for Valentine’s Day. Try one of these and share your comments and views with us.